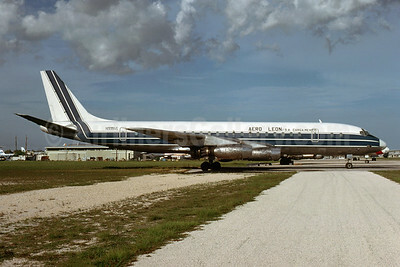 (Aero León S.A de C.V.) (Mexico City) 1978 - 1983. Photos. Framable Color Prints and Posters. Digital Sharp Images. Aviation Gifts. Slide Shows. Aero León Carga Mexico McDonnell Douglas DC-8-21 (F) XA-LSA (msn 45296) MIA (Christian Volpati). Image: 945586. 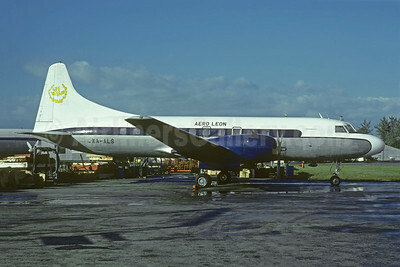 Aero León Convair 440-38 XA-ALS (msn 105) (Aspen Airways colors) MIA (Bruce Drum). Image: 103184. 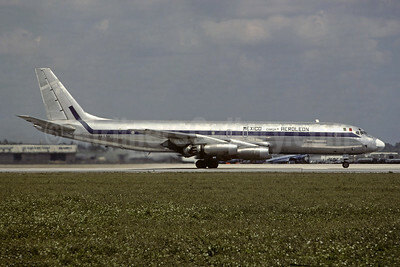 Aero León S.A. Carga Mexico McDonnell Douglas DC-8-32 N995WL (msn 45603) MIA (Bruce Drum). Image: 103513.